A bimini top is the perfect addition to any boat whether you're just out on the lake fishing for the afternoon or on a weekend getaway with the entire family. 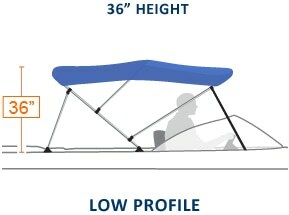 Any one of our fine bimini tops provides protection against harsh UV rays and unexpected rain. This great investment not only makes boating more enjoyable, but it also helps protect the interior of your boat from fading and premature wear. 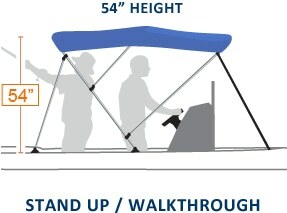 Adding a new bimini top also provides a bright splash of color that can make your whole boat look like new. This beautiful addition provides protection without losing circulation or obstructing your view. What more could you ask for? It's effective and protective, so you can keep on boating! 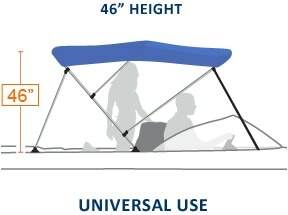 National Bimini Tops is pleased to offer a wide variety of bimini top options that are sure to suit your needs.